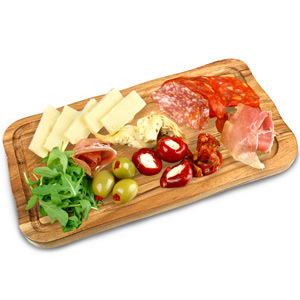 Create a distinctive table presentation with this Acacia Wood Food Presentation Board. 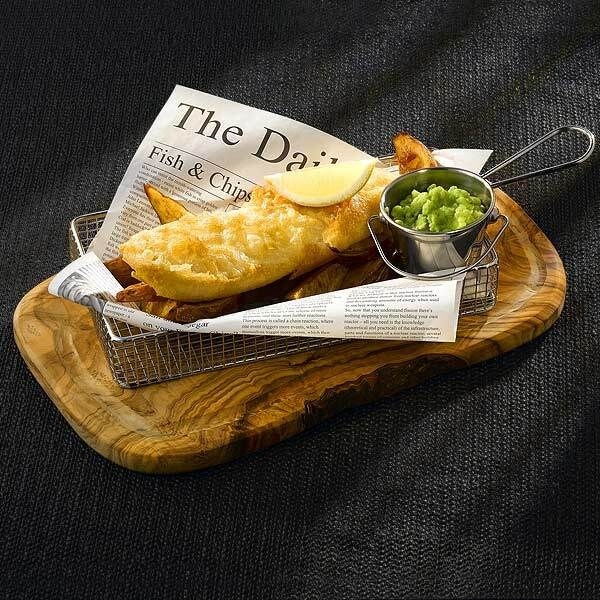 Each board has been uniquely crafted from acacia wood making it ideal for a rustic look. 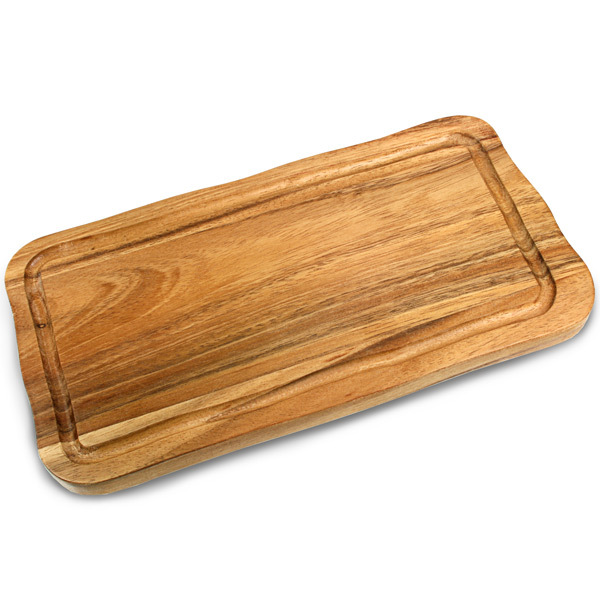 Finished with a groove around the edge, this board is ideal for serving steak, allowing the juices to collect in the groove. The size of this board also makes it great for serving starters, mains and sides such as antipasti or a selection of cheese and bread. Please Note: This is a natural product and therefore sizes and overall look will vary from piece to piece. All dimensions and weights are approximate.